A signed permission form has been received stating, "To whom it may concern: I, Abraham Jacob Greenstine, grant my permission to the St. John's College Library to record my 06/17/15 Wednesday evening lecture entitled 'The Problem of Absolute Knowing', for the purpose of archival preservation, library circulation, and online hosting. I will also provide the library with a hard copy of the typescript for circulation and archival preservation." 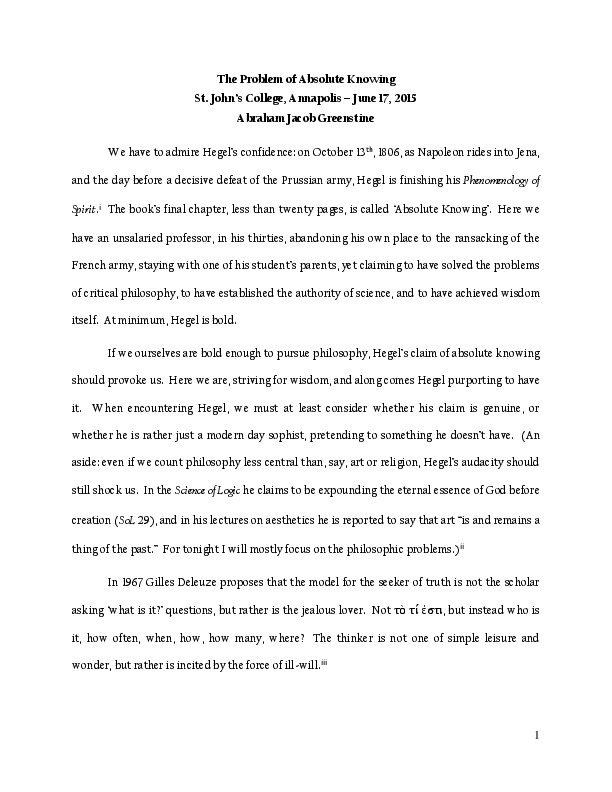 Greenstine, Abraham Jacob, “The problem of absolute knowing,” St. John's College Digital Archives, accessed April 21, 2019, http://digitalarchives.sjc.edu/items/show/9.